Channeling the culinary ambience of New York City, Broadway by Amar Santana plates modern American fare steeped in classic French technique. And now the 33-year-old Amar Santana has cooked up a couple of fresh projects, including a spot on Top Chef: Season 13 and a new dining concept in Costa Mesa. Yes, December proved to be a milestone month for the former teen culinary prodigy, seeing the kickoff of the Bravo competition (“It’s exciting and humbling at the same time,” he says of the experience) and opening of Vaca, a Spanish steakhouse and tapas restaurant near his old stomping grounds—the former Charlie Palmer at Bloomingdale’s South Coast Plaza. The Dominican Republic-born chef joins the exclusive ranks of other locals who have competed on the show, including Brian Huskey of Corona del Mar’s Tacklebox and Shirley Chung of Irvine’s Twenty Eight. Of course, details on the season stay in the kitchen, so tune in Thursdays at 10pm. Santana’s second culinary venture, however, is no secret. 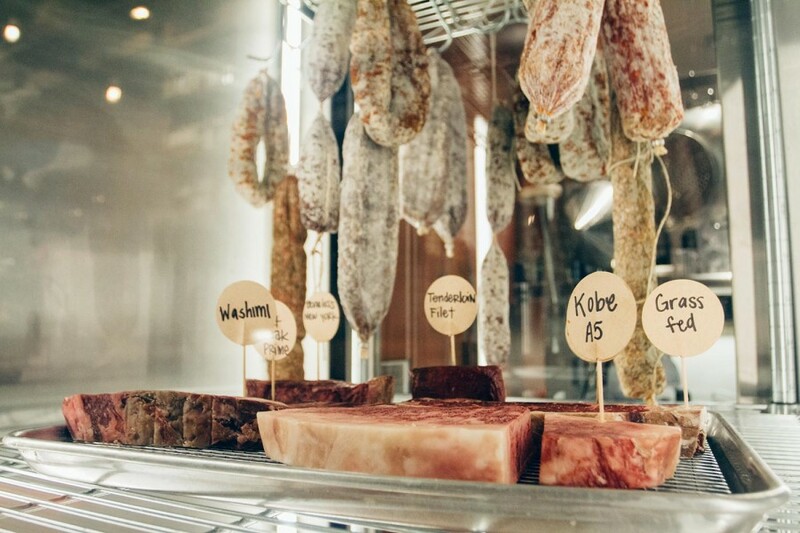 Vaca’s playful concept features a charcuterie station, tapas, paella and dry-aged steaks sourced from all around the world, complemented by Spanish wines and cocktails. Regardless of whether he comes out on “top,” the Culinary Institute of America alum aims to inspire the next generation of cooks.